After finishing up a lot of full-sized bb cream tubes I bought a few months back I am now a cheap skate kid that can't afford a new one. Boohoo~ So now I need to stick with the basics eh? Like a separate moisturizer, foundation and sunscreen. Yikes. All of those steps will take too much of my every morning. And another misfortune is that I am also all out of concealer! 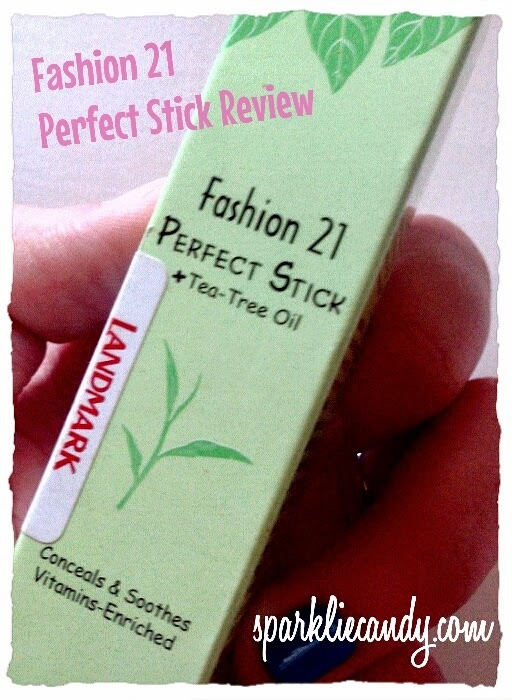 Fashion 21 Perfect Stick with Tea Tree Oil is a concealer stick, which is meant to cover up nasty blemishes and perhaps brighten dark panda under eyes. Why do people take tea tree oil? Tea tree oil has been used traditionally as a topical antiseptic and antifungal treatment. One study found that tea tree oil worked as well as 5% benzoyl peroxide in controlling the symptoms of acne. It appears to be effective with toenail fungus and possibly athlete's foot. 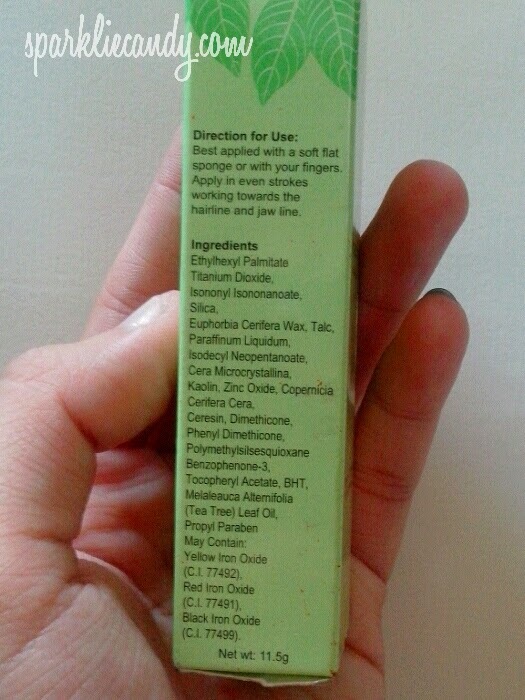 Studies of tea tree oil for other conditions such as gum disease, vaginal infections, and dandruff have been inconclusive. Oh~ so tea tree oil is not just for acne, it can also be a cure for other girl problems as well (now if Head & Shoulders could come up with a tea tree variant?) CR: Photo from Fashion21. Not just a concealer! It is also a foundation! I tried Fashion 21 Perfect as a concealer. The texture is smooth and it is really blendable. The concealer has a minty scent which I like (might be tea tree?). It has a powder finish, light enough like you are not wearing anything on your face. I was intrigued on how Fashion 21 Perfect Stick with Tea Tree Oil in Milk Tea will fare as a cream foundation, so I did!٩(^ᴗ^)۶ I was not afraid to use it on my face because it contains tea tree and I didn't had any bad skin reaction when I used it as a concealer. I only used my fingers with blending because it brings better results. If you would use blush, I recommend liquid tints. Blending is like a dream, no streaks or anything. By the way don't forget to moisturize first because as mentioned it has a powder finish which might accentuate dry patches (in case you have any). See picture above, the coverage is buildable, not cakey even with layers on but still might not be enough for red acne or dark pimple marks IMO. It helped a bit in covering up my pores. The final result is natural flawless finish which lasts for hours. However I still prefer reapplication because I like the look better when its freshly applied. Once I left my powder foundation at home and didn't even had my loose powder with me, I had to make do with Fashion 21 Perfect Stick. I was afraid I'll be so stress looking throughout the day. But guess what, besides being oily on my t-zone everything else is fine. If I was not just oozy on wanting freshly applied makeup I would not even bother to retouch. ]The tea tree minty scent! Covers up pores when used as a foundation! Moisturize first before using this product! Use makeup remover and good cleansers for skin cleansing. A bang for the buck! 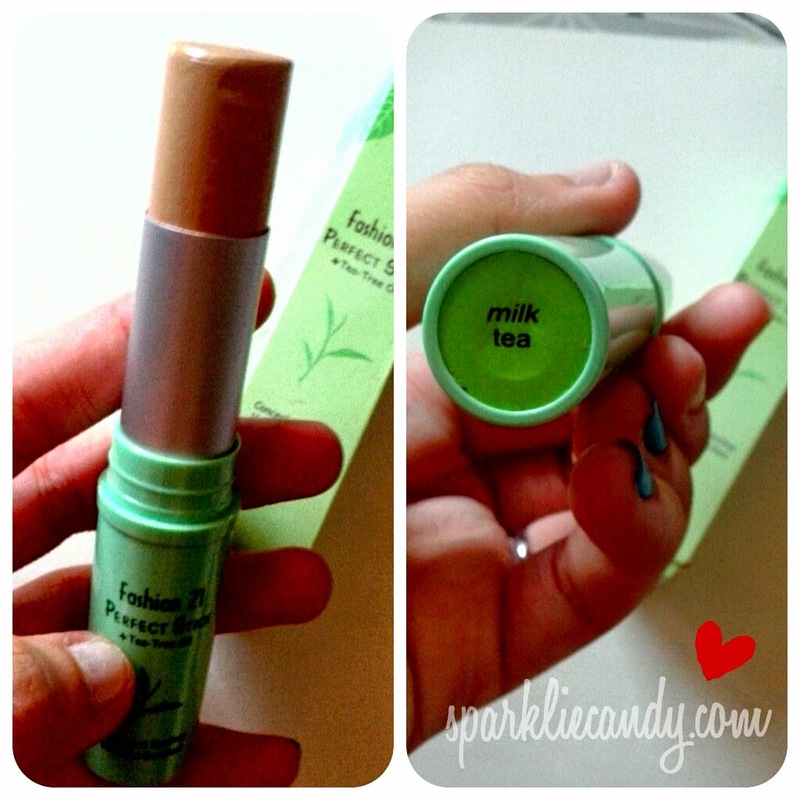 Overall quality of Fashion 21 Perfect Stick with Tea Tree Oil in Milk Tea is great. Not for a concealer though, but I can pass that up. As a cream foundation this baby is a winner! I think you need a green colored concealer for your red marks and pimples, it gives better coverage.